We sold out of the first batch in less than a day! We are making more so place your order now to get in line for the next batch. We ship first-come first-serve... latest batch is expected back in stock around Friday, September 23rd! 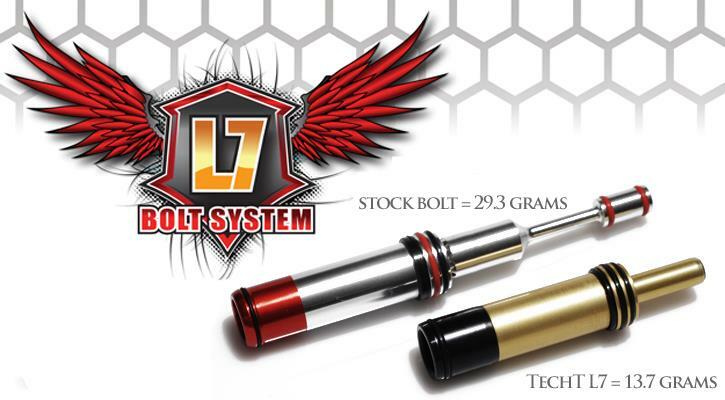 The TechT L7 DYE DAM Bolt is designed to reduce kick, noise, and the operating pressure of the marker. 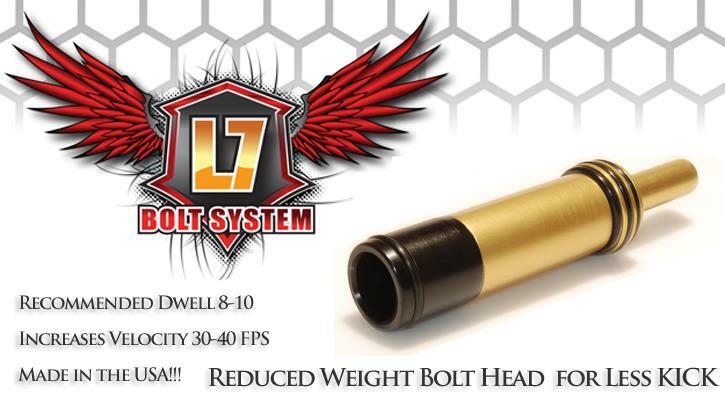 The bolt itself only weighs in at 13.7 Grams, as oppose to the stock bolt which weighs 29.3grams. 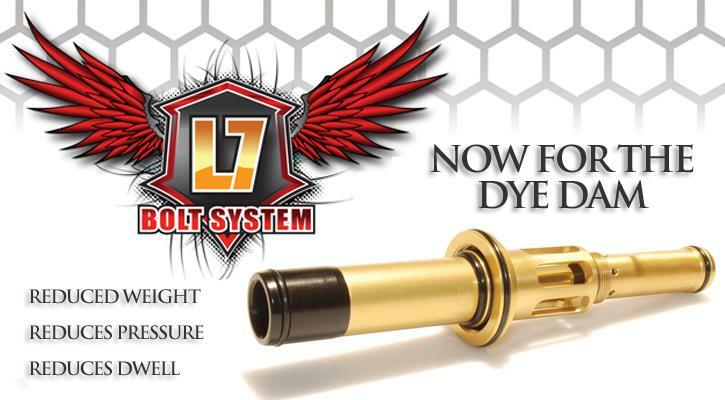 The L7 Bolt for the DYE DAM is constructed of Aircraft Grade Aluminum. The bolt produces virtually no kick, which helps improve accuracy and feels amazing! Produces a lower sounds signature when fired because of the reduced operating pressure and dwell. At equal pressure the L7 fires 30-40 FPS higher than the stock bolt. When you install the L7 you must turn your regulator down to get the velocity under 300 FPS. Less Kick = More Accuracy = More Wins = MUST HAVE UPGRADE FOR YOUR DYE DAM!